It's Design Team Day for My Creative Time! Emma challenged us to make a card using her stamps and the colors green and purple. 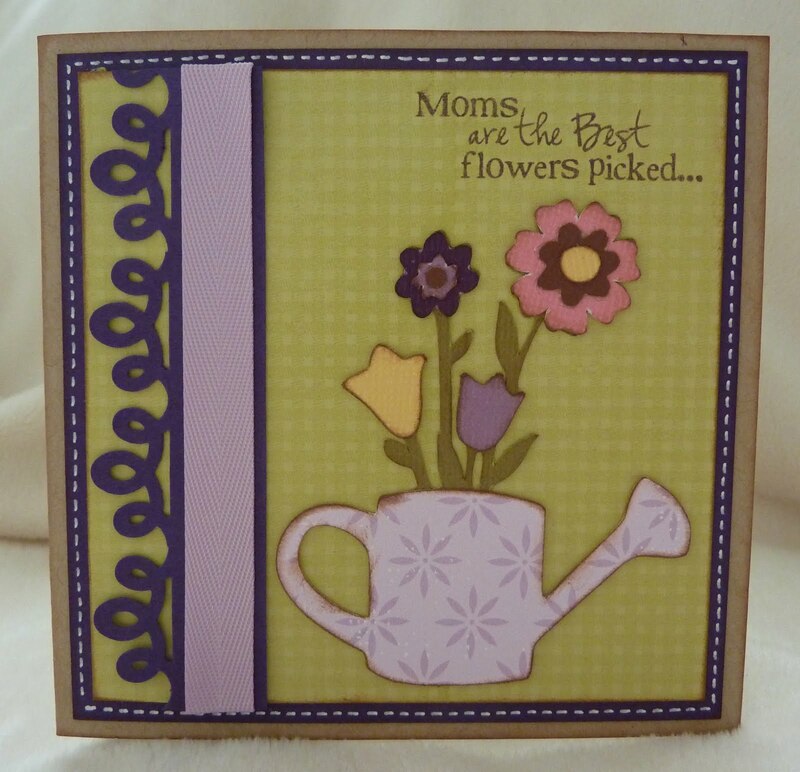 I'm sharing a Mother's Day card that I made with the "Mom You ROCK" stamp set. I LOVE this set! The fonts are so pretty. I used my Kate's ABC cartridge for my watering can full of flowers. It's cut at 2.9". 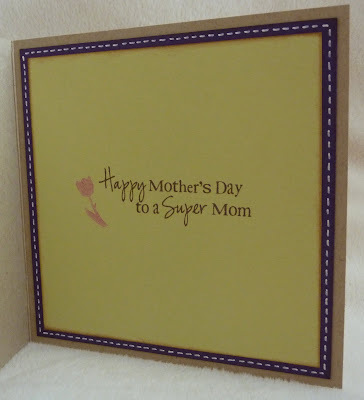 I also used more of Emma's stamps on the inside of the card. In addition to "Mom You ROCK", I used a little tulip from her "Just a Little Note to Say..." set. Be sure to stop by My Creative Time to see what Emma and the rest of the design team have for you today! Also, tomorrow morning we'll be having a blog hop to showcase Emma's newest stamps! She'll be announcing them in a video at the beginning of the hop. 8 1/2" x 4 1/4" Papertrey Ink Kraft Cardstock, scored at 4 1/4"
I love the card Katie.. I'm sure your mom will too. So adorable, love the saying to!! Such a pretty card! Great colors!! Very darling card. Love the watering can and the flowers. Cute card and use of the stamps. Okay this is just BEAUTIFUL! I just LOVE that watering can and those flowers! This stamps set is one of my favorites... okay they all are! I LOVE that cartridge... someone has been telling me to get it, well I can see why! Of course I love all the PTI! As always Katie I never stop by with out being inspired!